As the sun blazes over the Caribbean island of Lagrimas Negras, its bloodthirsty ruler is watching and waiting. Criminals come here to hide, with blood on their hands and escape on their minds. On the mainland, ex-flying ace Jack Stone leaves his son and daughter in the company of James Bond. But a gang of thieves waits in ambush. They want Stone's precious safe, and will kill for its contents. A deadly chase through the Mexican jungle begins and on this terrifying trail of greed and betrayal, only danger is guaranteed. Survival is not... 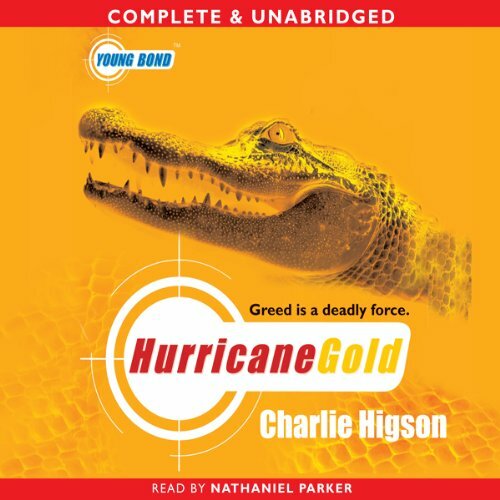 This is the fourth explosive Young Bond bestseller from Charlie Higson.